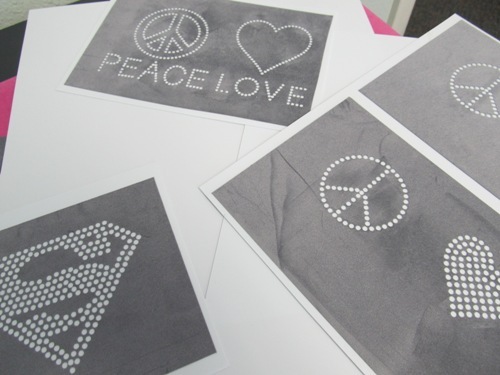 StickyFlock is the perfect material to help your business start making profits with rhinestone transfers. Combining durability and ease of use, StickyFlock helps you set free your creativity, as well as helping you make extra cash! 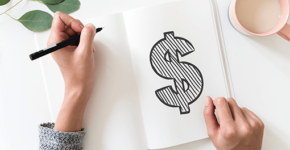 For businesses just starting out with Hotfix Rhinestone transfers, nothing is more effective in letting loose your creative side—and building strong profits—than StickyFlock. It is no wonder that the popular StickyFlock Template Material is included as part of the Brush-N-Bake System, the preferred system for established businesses and independent startups to expand into the rhinestone transfer industry. StickyFlock makes intricate rhinestone templates simple. 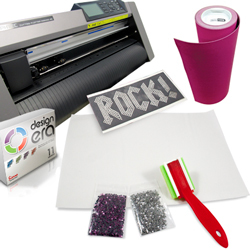 Start by creating your rhinestone template stencil with Sierra’s HotFix Era Rhinestone Stencil software, set your Graphtec CE6000-40 15” Desktop Cutter/Plotter to cut the pattern in StickyFlock, and then remove it to weed out the cut circles. With a piece of StickyFlock already placed on a workstation, attach the completed rhinestone transfer stencil to the workstation. StickyFlock comes in both pink and grey; contrasting colors perfect for precise placement. Gently wipe rhinestones over the StickyFlock stencil using a StickyFlock Brush. Stones will fall face-up into the holes of the stencil. After placing all the stones, put a piece of silicone rhinestone transfer paper over the StickyFlock. Then press and peel it off. Now you have a rhinestone transfer ready for the heat press! Store rhinestone templates made with StickyFlock in a folder, a small accordion-style file box or a filing drawer. You can also save hundreds of StickyFlock stencils in filing drawers. 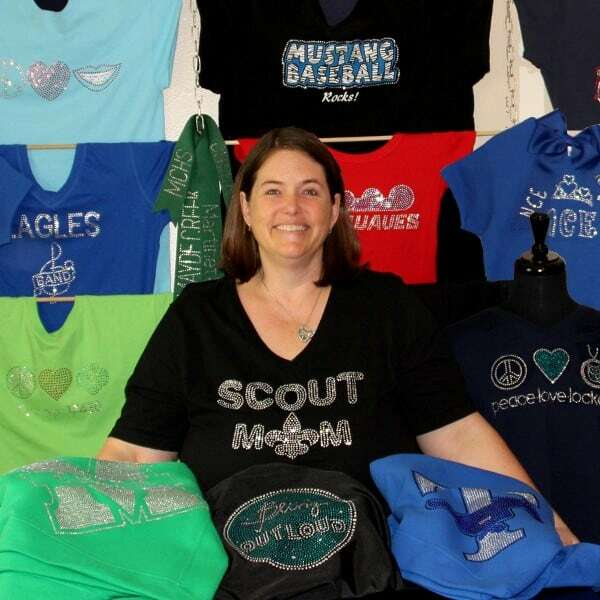 What makes StickyFlock the best way to introduce embroiderers, direct to garment or screen printers to the profitable world of rhinestone transfers? Rhinestone templates made with StickyFlock are reusable. 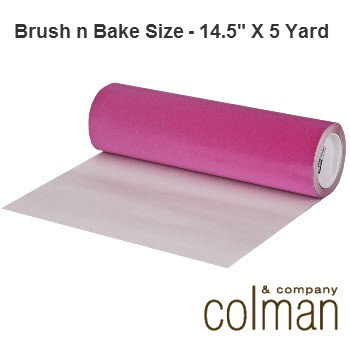 After cutting, use a BackerBoard 12″ x12″ square to keep your Brush ‘N Bake designs smooth, safe and ready for reuse. Once you remove the protective film, StickyFlock stencil material has an excellent adhesive face, so it stays firmly in place. Made from Polystyrene, BackerBoard Squares are easily cut to size to fit any size rhinestone transfer. Simply score along a straight line with a razor and snap, or cut with pair of scissors. With its unique adhesive, StickyFlock can stick to itself without adhering permanently. This allows you to use several rhinestone templates, in a variety of stone sizes and colors, on a single workstation. Using StickyFlock increases the life of your blade. By reducing the amount of cutting pressure to just 170 grams, cutting StickyFlock will drastically reduce the wear and tear on your vinyl cutter. With the antistatic side of StickyFlock, rhinestone transfers keep safe and in place when removing the rhinestone transfer tape. StickyFlock is also easy to remove, to weed out the negative parts easily by removing the circle cuts of the rhinestone transfer. It also lays down and can be cut on craft cutters. A swift, single pull is all you want to remove the transfer tape off the smooth surface of StickyFlock. This decreases your production time and increases productivity for making professional rhinestone transfers. Efficient production means more sales and profits, as well as the confidence to move your business continue to the next level with a Commercial CAMS Automatic Rhinestone Transfer System. 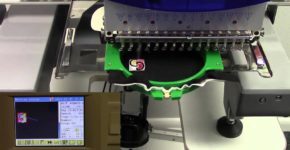 With CAMS, you can now mass produce hundreds of high-profit rhinestone transfers to add to embroidery, direct to garment or screen-printer products. For more information about StickyFlock, the Brush-N-Bake Rhinestone Transfer System or anything rhinestones, visit ColmanAndCompany.com or call 800-891-1094 today! Share your tips and tricks for making money with rhinestone transfers in the comments below.